One of the centrepieces of the Palm Springs collection, this house was designed for comedian Bob Hope and stands as some of Lautner’s most evocative work. 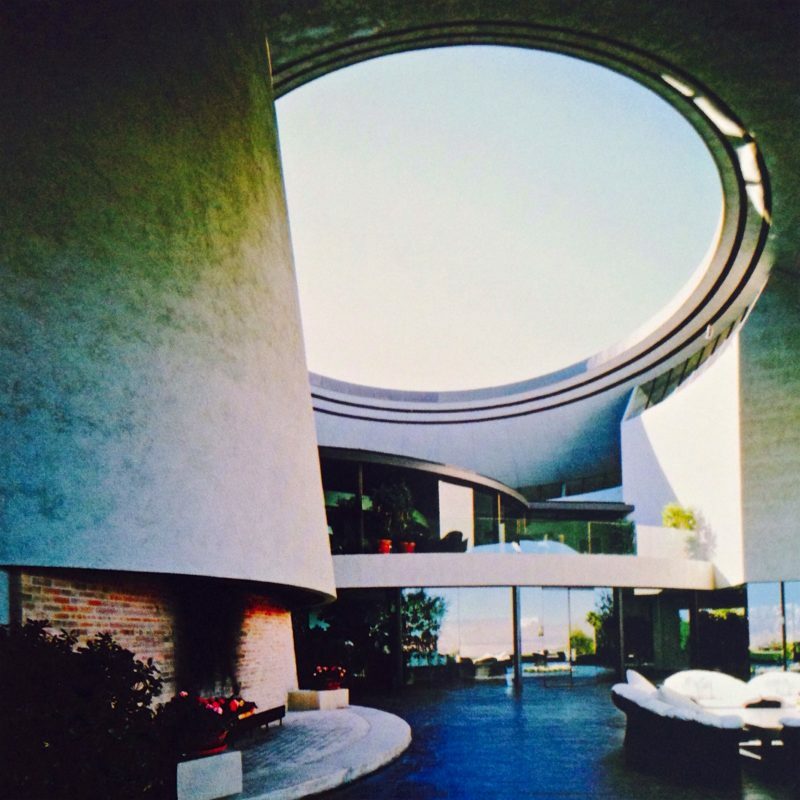 An icon of modernist, space-age design – this was his largest private residence design and embodied his desired for architecture to ‘create timeless, free, joyous spaces for all activities of life’. Certainly, the Bob Hope House with its seamless blend of concrete shell, copper roof, steel frame and glass was a structural feat that offered difference to its surrounds, whilst its contours served to reflect the adjacent mountain range. Coupled with panoramic views and an open living room courtyard to the core, the 23 366 square-foot residence demonstrates Lautner fusing all the best parts of his whimsically creative architectural palette.